Pentaho is the open source business intelligence leader. Thousands of organizations globally depend on Pentaho to make faster and better business decisions that positively impact their bottom lines. A few months ago Pentaho announced a major advancement in user-driven BI with the release of Pentaho BI 4 Enterprise Edition. This major release gives power to the user with new interactive reporting, rich data discovery capabilities, and a completely redesigned user interface. Pentaho now delivers dramatic progress in the ability for business users to access, report, and analyze data from more sources, more easily, and quicker than ever before. 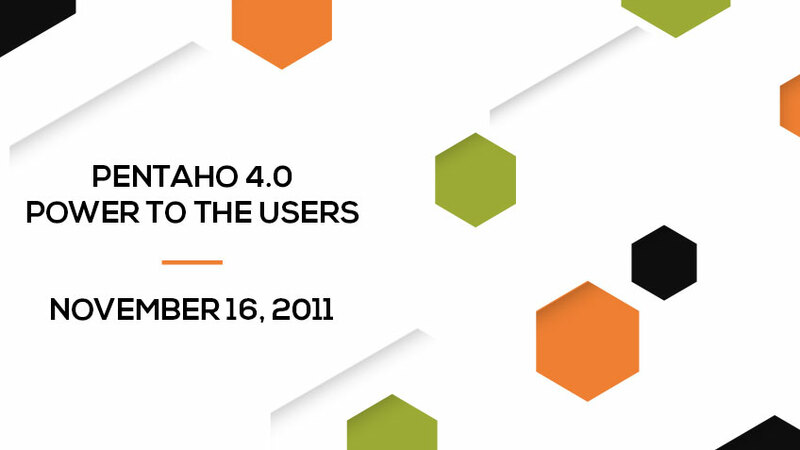 This Live Seminar will provide an in-depth look at the new and improved features of Pentaho BI 4. Come join us and see several demos of the new interactive reporting, data discovery capabilities and new user interface as well as customer success stories.